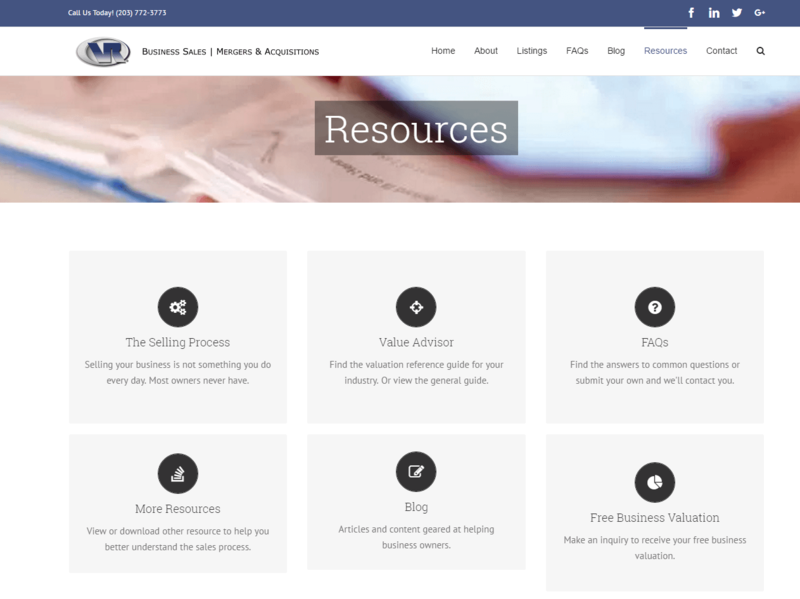 We’ve launched a new online platform designed with our community of business owners in mind. The new site has easy access to a ton of useful information and helpful resources. Preview some of our new and improved features below. Easier navigation. The homepage was designed to help you get to where you want to go quickly and easily. Navigate through the icons and buttons on the homepage or utilize the top menu. Find the information you need. 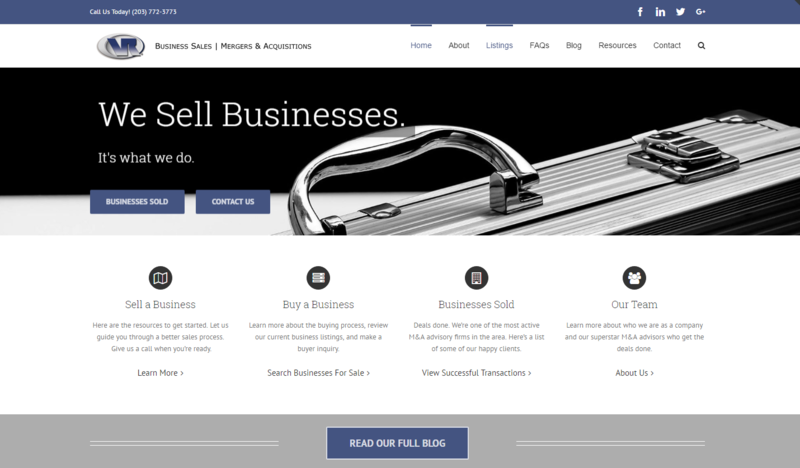 We’ve loaded the site with resources for sellers, with more to come. 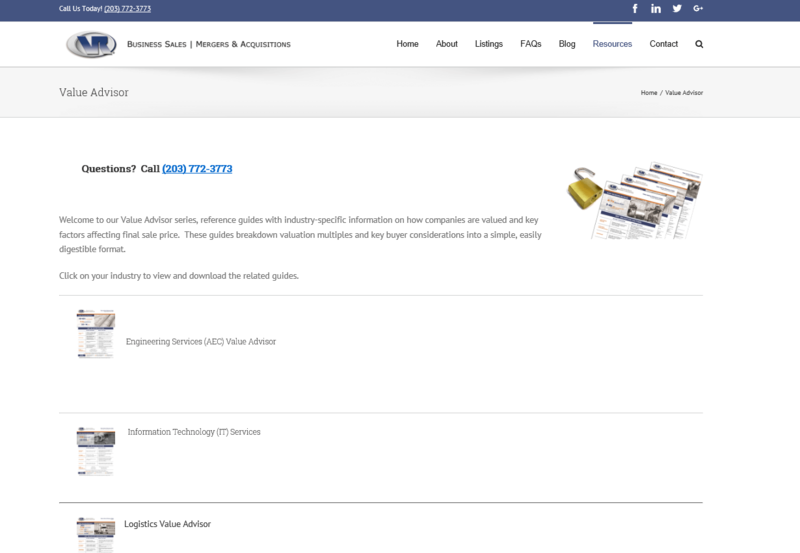 Stay tuned for our updated Value Advisor Library and more resources. Search our listings for your next opportunity. 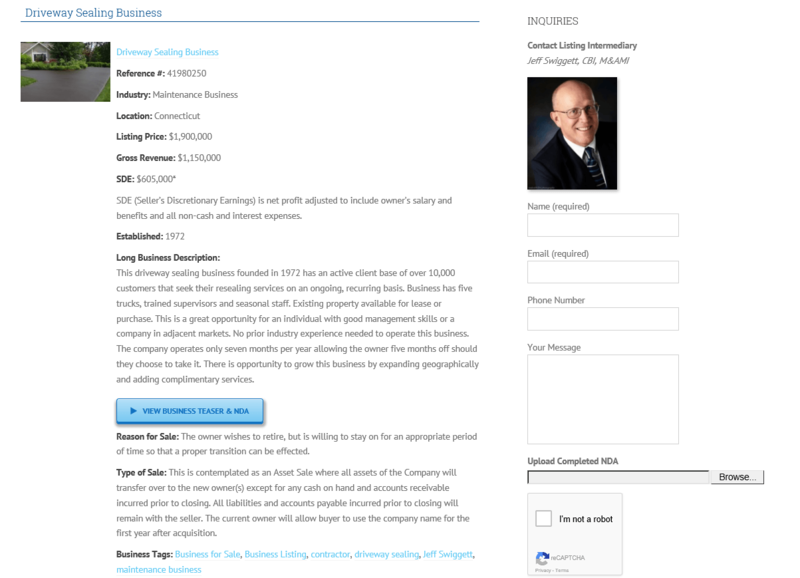 Our business listings have a nice new, clean layout and you can make inquiries right from the listing page. 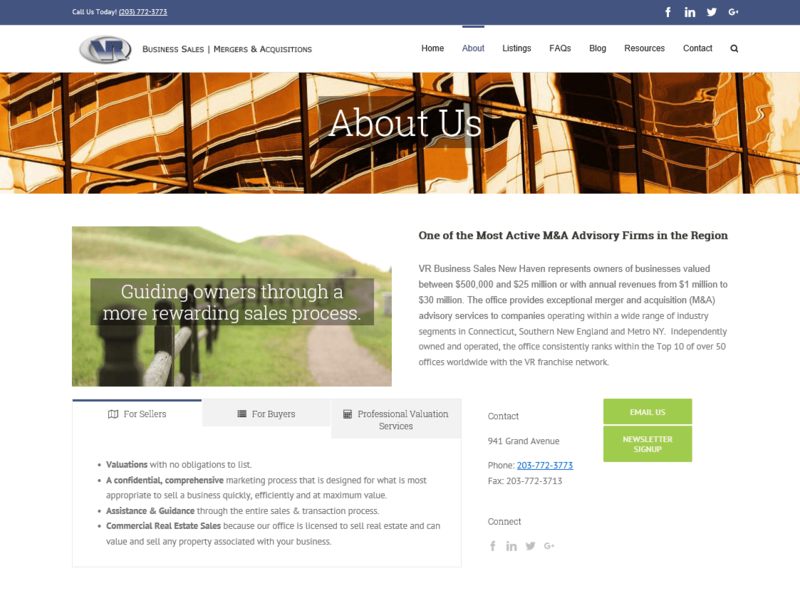 Interested in using us as your M&A Advisor? 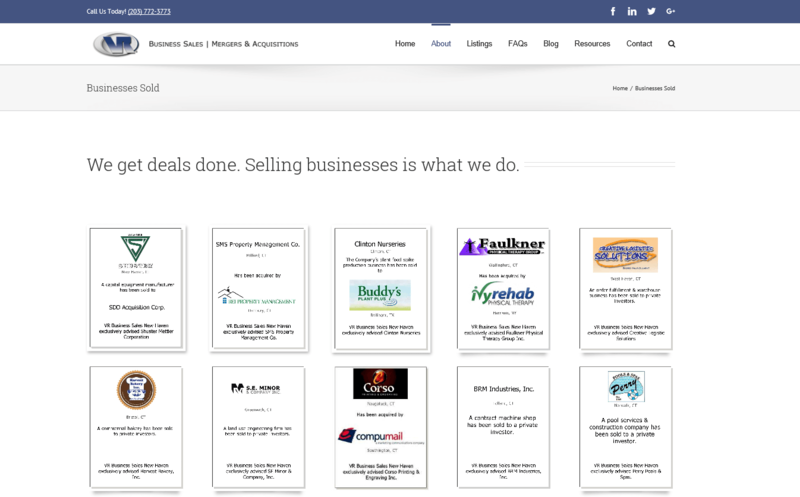 See our successful transactions, a page listing some of our happy customers. Learn more about us. Meet our team, find out more about our services and contact us. We’ll be unveiling our new Value Advisor Library and more resources soon. You can still check out our old page here, but stay tuned for updates.